A Free Flat HTML5 CSS3 UI Kit with clean and flat design style. UI Kit built with Bootstrap 3.0 Framework and includes lots of user interface elements for web applications and widgets like calendar, Menus, Video player, charts, maps etc. 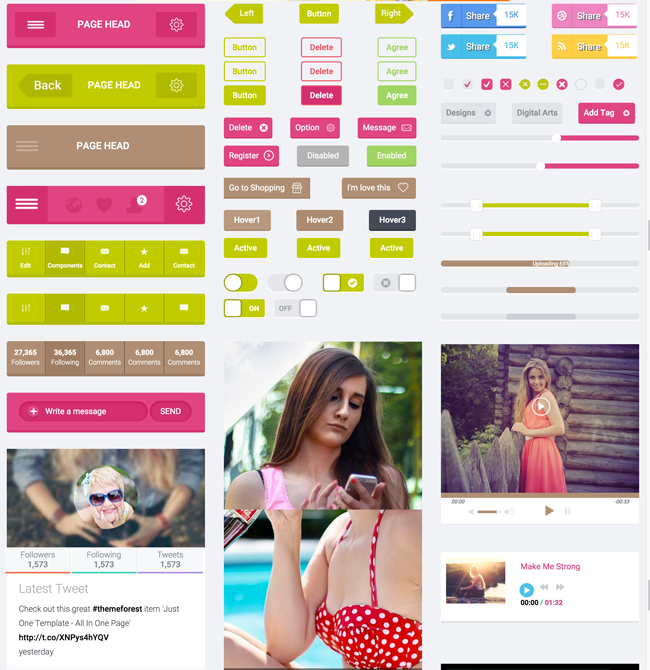 This UI Kit is compatible in all web browser, Smartphones and Tablets.